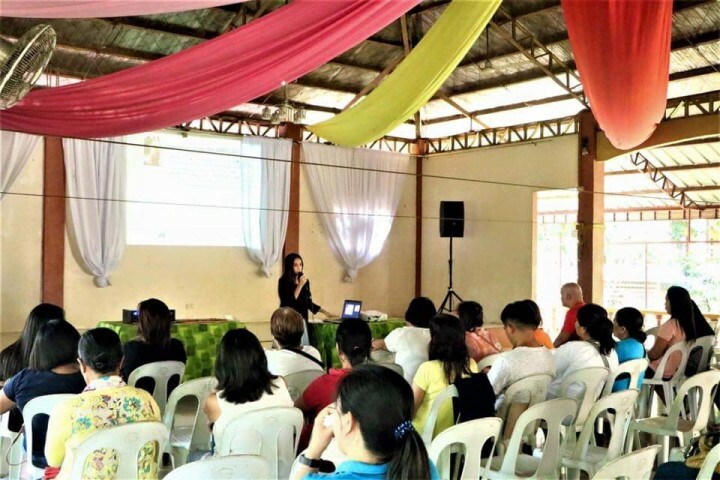 BAYUGAN CITY, Agusan del Sur, Nov. 13 - Some 43 business operators here were oriented through the Negosyo Cnter (NC) on the benefits of having their business registered as Barangay Micro Business Enterprise (BMBE). The BMBE or Republic Act 9178 is one of the government's initiatives that aims and promotes the creation and expansion of small businesses by providing benefits and incentives that will help BMBE enterprises to grow and succeed. BMBE qualifiers are those enterprises with a total asset of not more than P3-million excluding land. Charlott Pingol, NC staff presented the incentives for a qualified enterprise to include (1) Income tax exemption from income arising from the operations of the enterprise; (2) Exemption from the coverage of the Minimum Wage Law provided that the employees will still be covered with social security and health care benefits; (3) Priority to a special credit window set up specifically for financing requirements; (4) Technology transfer, production and management training, and marketing assistance programs. To avail of the exemptions, Jinalyn Nonog, Revenue Officer 1 of the Bureau of Internal Revenue (BIR), enumerated the requirements that include the following: (1) Copy of BMBE Certificate of Authority issued by DTI, (2) Sworn Statement of the values of assets owned, (3) Certified list of branches, certified list of affiliates, (4) Latest audited financial statement. She added that those practicing their profession and the partnerships or corporations engaged in consultancy, advisory and other similar services where the performance of business are essentially carried out through licensed professionals, are not qualified. 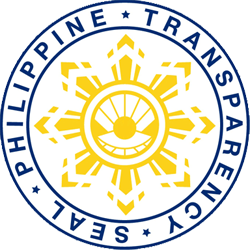 It was also learned that BMBE certificate covers the following: (1) the business transfers its place to another locality, (2) when assets value exceeds P3-M, (3) when Certificate of Authority is voluntarily surrendered to DTI, (4) in case of death of the registered individual owner of the BMBE if sole proprietorship, (5) in case of violation or non-compliance with the provisions of the Act, (6) in case of merger or consolidation with an entity which is not eligible to be BMBE, (7) in case of sale or transfer of the Business, (8) submission of fake documents, (9) in case of retirement from business, or cessation/ suspension of operations for one year and making false or omitting required declarations or statements. Rhea Xina Arjona, a business operator of Bayugan City was thankful of the new information she acquired. "Thank you DTI, resource persons and facilitators for this opportunity, this is a new learning important to us," she added. NASIPIT, Agusan del Norte, Nov. 13 - New guidelines will now be implemented by the local government unit of Nasipit, this province, on the two education assistance programs of the municipality after the Sangguniang Panlalawigan of Agusan del Norte declared valid the two municipal ordinances embodying such new policies. Under Municipal Ordinance No.004, authored by Sangguniang Bayan (SB) Member Virgilio F. Baja, the provision for the College Educational Assistance Fund Program (CEAFP) on the number of scholars who can avail of the scholarship was made from 35 scholars as maximum to 35 scholars as minimum every year and the maximum shall be determined by the scholarship committee. The funds for the scholarship program in the amount of Php280,000 yearly can now be increased by the local government depending on the availability of funds to implement the CEAFP. Other new guidelines changed were under Municipal Ordinance No.005, pushed by SB Member Baja, on the provisions of the Municipal Educational Assistance Fund Program (MEAFP) where the scholar is required to render service at their respective school under the Brigada Eskwela every opening of the school year until the scholar completed the secondary program. For the renewal of the scholarship, the scholar must submit Brigada Eskwela Certificate of Participation duly signed by the School Principal or Head Teacher. The financial assistance per year to each scholar in public schools was also increased from Php750 to Php1,000. PROSPERIDAD, Agusan del Sur, Nov. 13 – Seven members of the New People’s Army (NPA) under Guerilla Front 14 have voluntarily surrendered to the 75th Infantry "Marauder" Battalion (75IB), Philippine Army along with their firearms at Sitio Cosep, Barangay Bayugan 3, Rosario, Agusan del Sur recently. The surrenderers were identified as alias ‘Nina’, alias ‘Pitong’, alias ‘Bal’, alias ‘Cisar’, alias ‘Barako’, alias ‘Renny’ and alias ‘Kamandag’, and all are residents of Sitio Cosep, Brgy. Bayugan 3, Rosario, Agusan del Sur. They brought along with them one caliber 38 Pistol and one improvised shotgun and three improvised caliber 22 rifles. It was learned that the said surrenderers will be processed for them to avail the Enhanced Comprehensive Local Integration Program (E-CLIP) which includes the following benefits: Php15,000.00 for immediate cash assistance; Php50,000.00 for livelihood assistance; and Php90,000.00 - Php95,000.00 for firearms (depending on the type of firearm) and access to other government assistance. “The successive numbers of surrenderers in our battalion are all assisted with the benefits they destined to receive from the support of the government leaders for their livelihood assistance,” said Lt. Col. Jaime Datuin, 75th IB Commanding Officer. TANDAG CITY, Surigao del Sur, Nov. 13 (PIA) - Different heads and representatives of government agencies, together with the heads of the security sector in Eastern Mindanao, gathered on Saturday, November 10, 2018, at the Villa Maria Luisa Hotel here to formally welcome to the folds of the law the 96 Former Rebels (FR) and awarded them different transformation intervention packages during the Joint Regional and Provincial Peace and Order Council Meeting. In a formal presentation ceremony, Secretary Eduardo M. Año of the Department of Interior and Local Government (DILG) received the 36 high-powered firearms from the FRs . The FRs were formally presented by BGen. Andres Centino and BGen. Franco Nemesio Gacal of the 401st and 402nd Infantry Brigades of the 4th Infantry Division, Philippine Army, who received and facilitated their surrender. Prior to their formal presentation, the Enhanced Comprehensive Local Integration Program (E-CLIP) Committee of Surigao del Sur and the DILG Provincial Office subjected the FRs in a validation and processing for their enrollment and award of benefits of the E-CLIP being implemented through Inter-Agency Task Force Balik Loob headed by USec Reynaldo Mapagu of the Department of National Defense. Aside from the cash assistance that they will receive, the FRs will be receiving other assistance and interventions under the program depending on the needs assessment survey report to be conducted by TF Balik Loob. These may include skills training under the Technical Education and Skills Development Authority, housing under the National Housing Authority, and other socio-economic interventions. 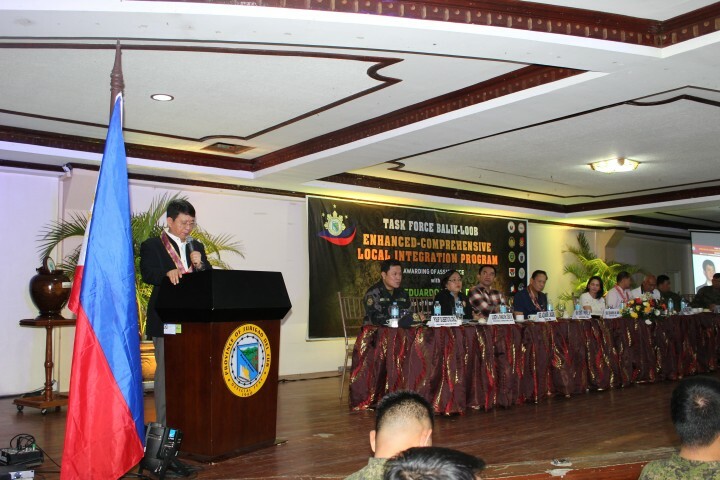 During the press briefing after the ceremony, Eastern Mindanao Command Commanding General Lt. Gen. Benjamin Madrigal, Jr. emphasized the cooperation of every sector and agency not only in the intervention to bring the rebels to the mainstream but also in ending insurgency. "Insurgency is a multi-dimensional problem, which requires a multi-sectoral solution. Not only the government but also the community, the business sector, media, and other sectors," Gen Madrigal Jr. said. LUNGSOD NG TANDAG, Surigao del Sur, Nob. 13 (PIA) – Matapos ang ilang araw na paghahanda para sa pagpapatupad ng suggested retail price (SRP) sa bigas, matiwasay na sinimulan ang pagpapatupad nito noong Nobyembre 9, 2018 na idinaos sa pamamagitan ng simpleng seremonya sa Tandag City Public Market. Sinabi ni NFA Provincial Manager May Sarah Atomar Sabarre, na sinimulan na ang malawakang pagpapatupad ng SRP sa bigas noong Biyernes sa buong probinsya kasama nito ang ahensiya ng Department of Trade and Industry (DTI), Departmen of Agriculture (DA), at Office of the Provincial Agriculturist (OPAg). Napag-alaman na ang labeling ayon sa inaprubahan na alituntunin ng NFA Council kamakailan ay ang mga sumusunod: Regular Milled Rice-(lokal) – P39/kilo; Well-Milled Rice (lokal) – P44/kilo; Premium Rice (local) - P47/kilo; Well-Milled Rice (imported)- P39/kilo; at Premium Rice (imported)- P43/kilo. Samantalang wala namang itinalaga na presyo para sa special rice. Dagdag pa ni Manager Sabarre, ang opisina ng NFA ang mamumuno sa pagpapatupad ng SRP at labeling ng bigas. 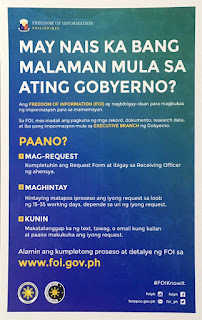 Kaagapay nito ang DTI at Philippine National Police (PNP).